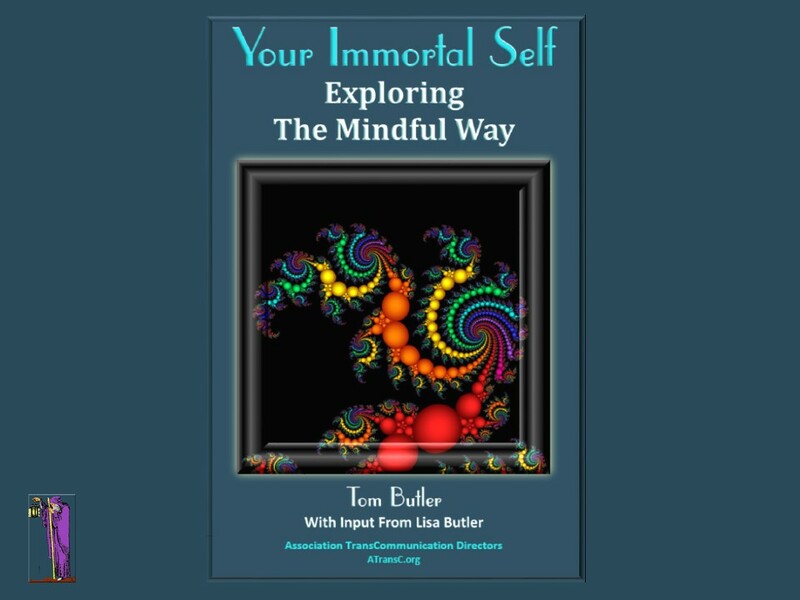 On February 28, 2017, Kate Valentine and Fahrusha welcomed Tom Butler, expert on the EVP ( Electronic Voice Phenomena) and author of Your Immortal Self: Exploring the Mindful Way. EVP stands for Electronic Voice Phenomena. The practice of using electronics to record the voices of entities was brought to the public eye by Latvian writer and parapsychologist Konstantīns Raudive and Swedish painter and film producer Friedrich Jürgenson. Tom and his wife Lisa Butler manage the A Trans C which stands for Association TransCommunication. The organization was started by the late Sarah Estep in 1982 as the American Association of Electronic Voice Phenomena (AA-EVP). 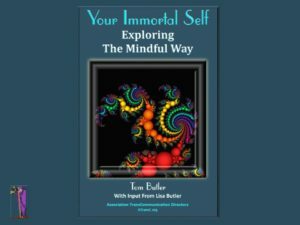 Her objective was to “provide objective evidence that we survive physical death in our individual conscious state.” Tom Butler explains the basics of the EVP phenomena and links it to his understanding of human consciousness. 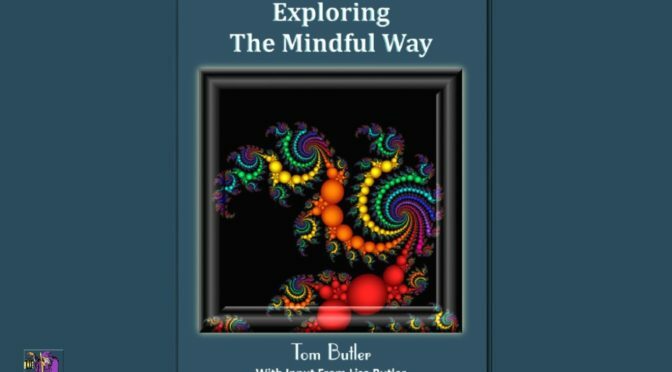 He has two websites, http://atransc.org and http://ethericstudies.org with more information and how he can be contacted. We got a huge surprise when we bid Tom good-bye and were wrapping up the show. Suddenly on Kate’s track only we recorded an EVP. Kate and Fahrusha and our audio engineer, Bill, were all in the same room in plain sight of one another. We were totally surprised and flummoxed. Listen to the six second clip below to hear what was recorded. “The thing is, we will likely never know. Many EVP are simply comments for which we have no references. Examples of such EVP can accumulate pretty fast, so except for their novelty, we usually suggest they are discarded. Else, we become overwhelmed with unanswerable questions. Your example does fit into the novelty category, as most peanut gallery comments are not as clear. “One of the things to look for is where the utterance showed up in the equipment. We think EVP is formed in a specific process, say a transistor junction in an amplifier. We expect the place to be analog and nonlinear, as stochastic amplification is more likely in such energy environments. So, if the voice was in all headsets, look to the amplifier of the studio, but we would expect it to be upstream from the output amplifier. If the EVP made it into the recording memory, we would think it was formed somewhere in the input stage between the microphone and the memory conversion process.